In stock -This product will ship today if ordered within the next 8 hours and 51 minutes. This 5-in-1 Mineral Foundation contains just four natural ingredients; minerals which are kind and gentle, protective and nurturing for the skin - Mica, Zinc Oxides, Iron Oxides, and Titanium Dioxide. 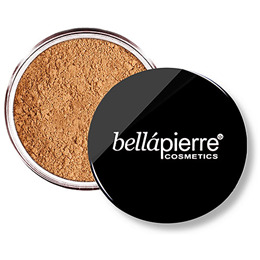 Non-comedogenic and hypoallergenic, this Mineral Foundation is safe for all skin types. 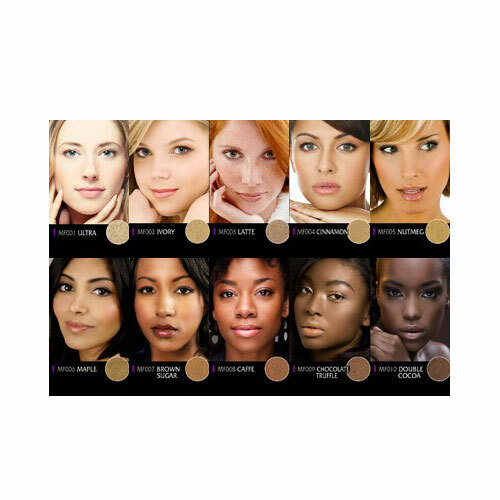 With nine shades available, finding the perfect shade is easy using Bellapierre`s descriptive shade matcher. Mica CI 77019, Titanium Dioxide CI 77891, Zinc Oxide CI 77947, Iron Oxides CI 77492, 77491, 77499, 77288. May contain: Ultramarines CI 77007. Below are reviews of Bellapierre Mineral Foundation - Brown Sugar - 9g by bodykind customers. If you have tried this product we'd love to hear what you think so please leave a review.